The Desert Tech MDR is designed for future defense needs. 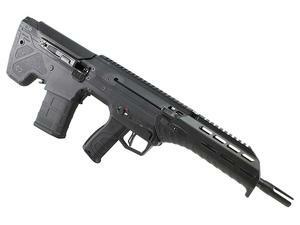 The bullpup design allows for a compact size with superior ergonomics and portability. The MDR allows mission specific adaptability with it's caliber and barrel length conversions. The MDR is fully ambidextrous with no necessary modification. The forward ejection system allows the user to use the rifle on either shoulder.